One thing my family loves is pizza. They could eat pizza for breakfast, lunch, and dinner. And sometimes do… especially when I have an extra busy week. This presents a dilemma for me, though. I’m fine with pizza for the most part since pizza really can be quite healthy and low-calorie, especially if you watch what kind of toppings you put on it and opt for a thin crust. It’s why I love Papa Murphy’s so much, I can get delicious “grown-up” gourmet pizzas that my 13 year old also loves and I feel good knowing that the toppings are fresh and good for us. 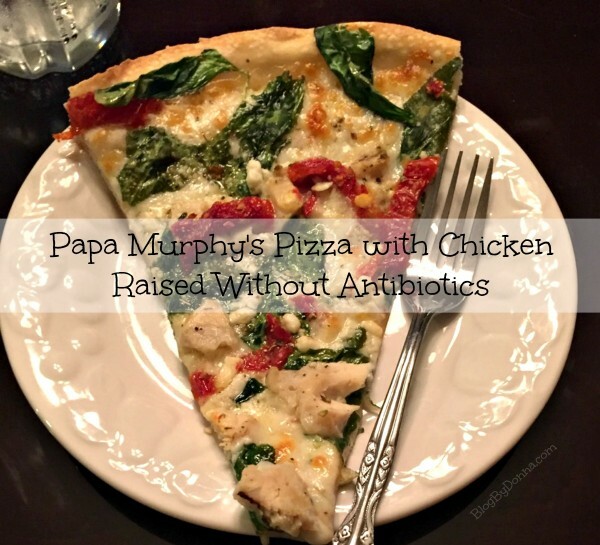 Papa Murphy’s is the first pizza brand to introduce Chicken Raised Without Antibiotics (RWA Chicken) systemwide. 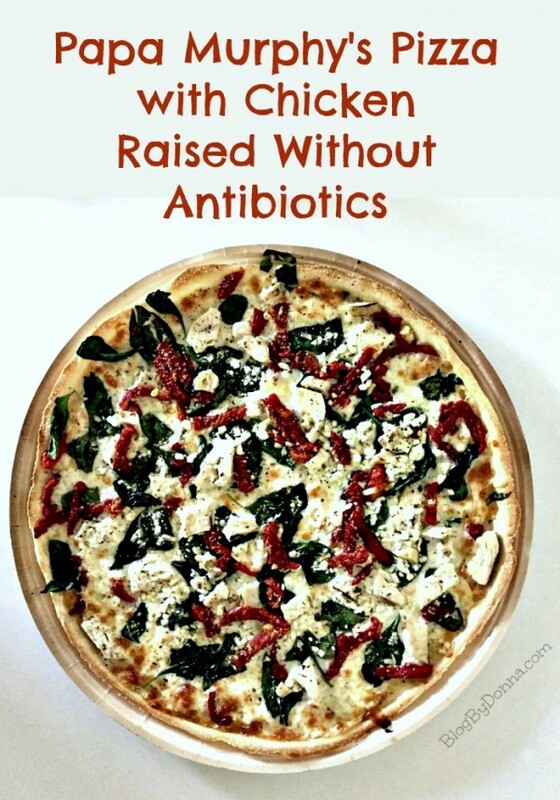 What this means is, well, exactly what it says… chicken raised with no antibiotics, ever. Never. Ever. This means as a mom, I can feel good about my family eating Papa Murphy’s pizza with chicken. 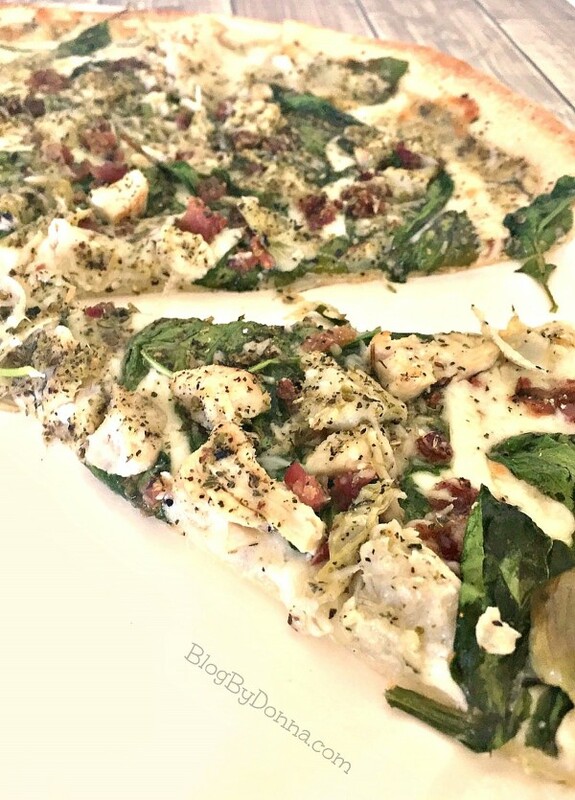 Two of our favorites are the Herb Chicken Mediterranean and the Chicken Bacon Artichoke pizzas. Knowing the chicken is RWA makes this mom very happy. I recently stopped by Papa Murphy’s and picked up our favorite take and bake pizzas. We ate the Herb Chicken Mediterranean on Saturday night and saved the Chicken Bacon Artichoke for lunch on Sunday. We love their thin crust pizza, especially when we choose a gourmet pizza. Papa Murphy’s has always been THE QUALITY LEADER among pizza brands and with the launch of RWA (raised without antibiotics) chicken, they have set a new standard in the pizza category for quality. Making Papa Murphy’s my first choice in pizza. You can personalize your pizza exactly to meet your families’ needs, too. Want to remove a topping from the recipe? No problem! Want to add a topping? No problem! Want to order half a pizza for the meat-eaters in your family and the other half for the veggie-eaters? NO PROBLEM! So get a RWA chicken pizza and try different toppings and crusts and know you’re feeding your family a healthy pizza. We love Papa Murphy’s pizza. Like your family, mine could live off of pizza for every meal. We usually just go for a basic pepperoni or sausage but these chicken pizzas look great, too! Going to have to give them a try! Chicken is my favorite thing to have on pizza lately. This looks so good!! I am more concerned about chickens loaded with steroids which makes them big and fat. I’ve never had Papa Murphey’s pizza before but it looks delicious! 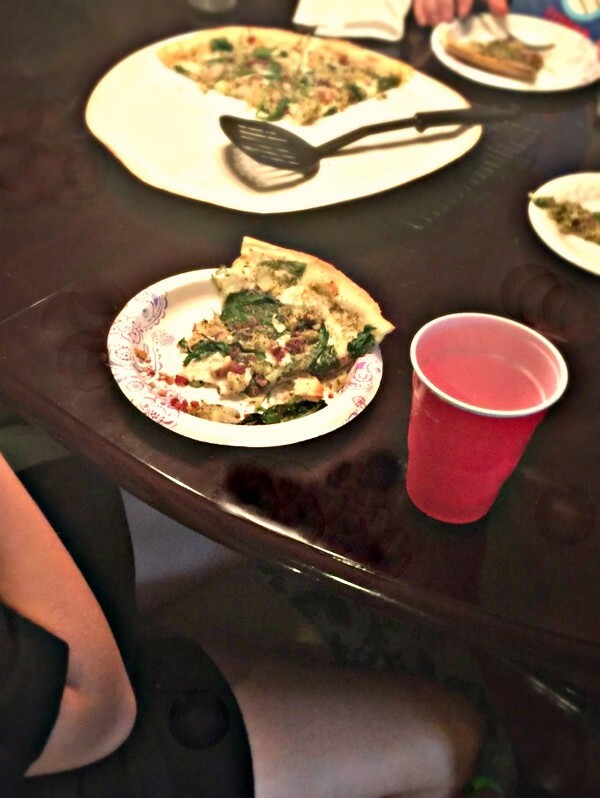 Pizza is always a hit in my household! Doesn’t Papa Murpheys have delicious pizza? You seriously can’t go wrong with any of their pizza’s. My family loves it! I can always appreciate a company going the extra mile to keep out toxins from foods. Now, I totally want some pizza! I always wanted to check out Papa Murphys since I heard alot of great things.